Since joining QUT in late 2012, she has continued to develop her expertise in this area through further research. 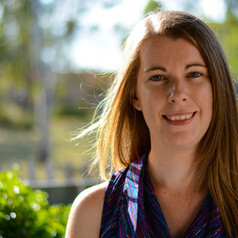 In 2013, she was awarded a Criminology Research Grant (CRG) to undertake the first Australian study examining the reporting and support needs of online fraud victims. In 2015, she was awarded a second CRG to examine the process of identity restoration for victims of identity theft, in partnership with iDcare. In 2016, she was awarded a third CRG to examine the policing of cybercrime in Australia. She has established strong relationships with law enforcement across Australia, evident in her collaborations and publications. Dr Cross has presented her research at a variety of academic, law enforcement and government events across Australia, UK, the Netherlands, Spain, USA, Canada, Hong Kong and New Zealand. She is the co author (with Professor Mark Button) of the book entitled "Cyber Frauds, Scams and their Victims" published by Routledge in 2017.